Put your hands together for the Life of Luxury Progressive online slot – the Vegas classic now online! 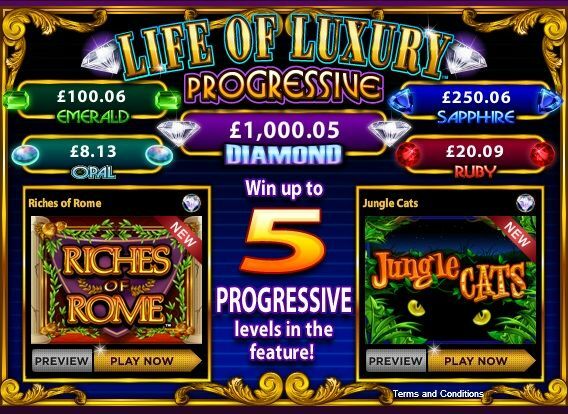 For a chance at the Life of Luxury feature, first choose from the Jungle Cats or Riches of Rome games. Jungle Cats and Riches of Rome are two different base games with the ‘Life of Luxury’ as a common feature. 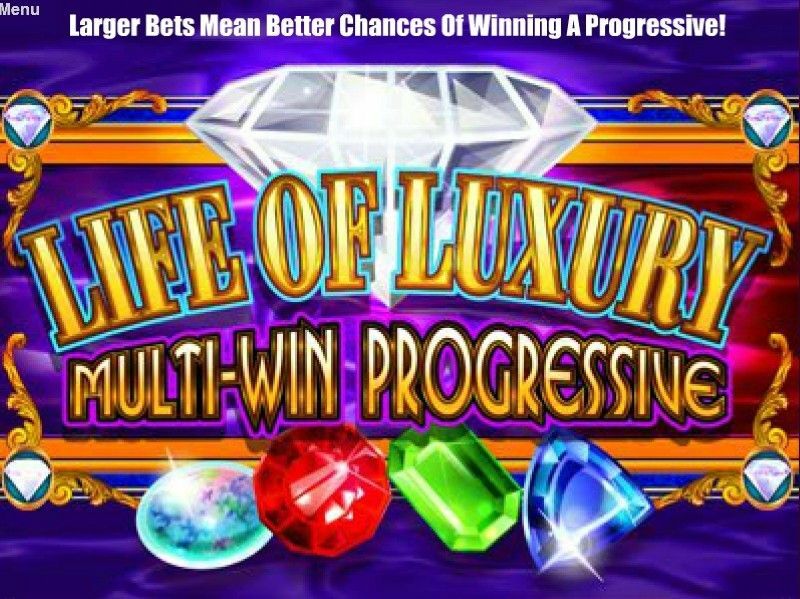 There are 5 different levels of progressive as part of The Life of Luxury feature. Plus, both games have free spin features of their own. 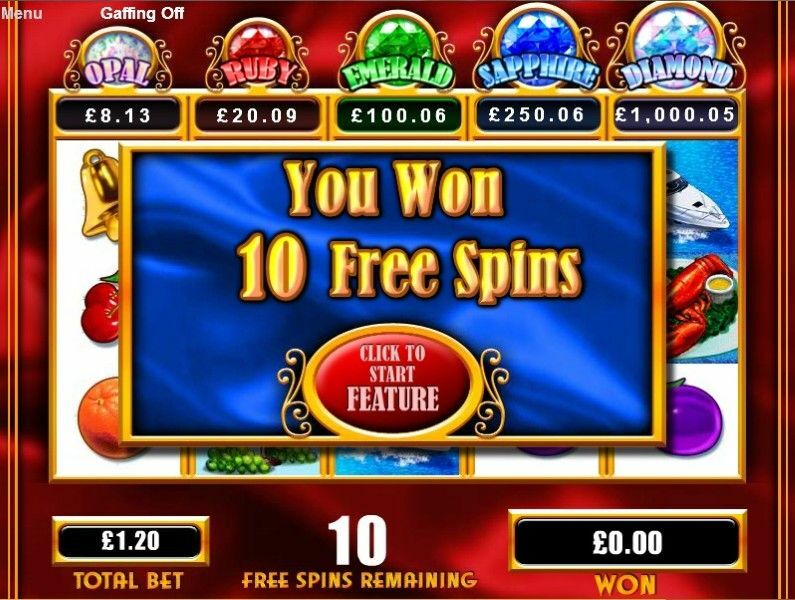 While playing Jungle Cats or Riches of Rome, randomly find the Life of Luxury symbol to enter the life of luxury feature, worth 10 free spins. 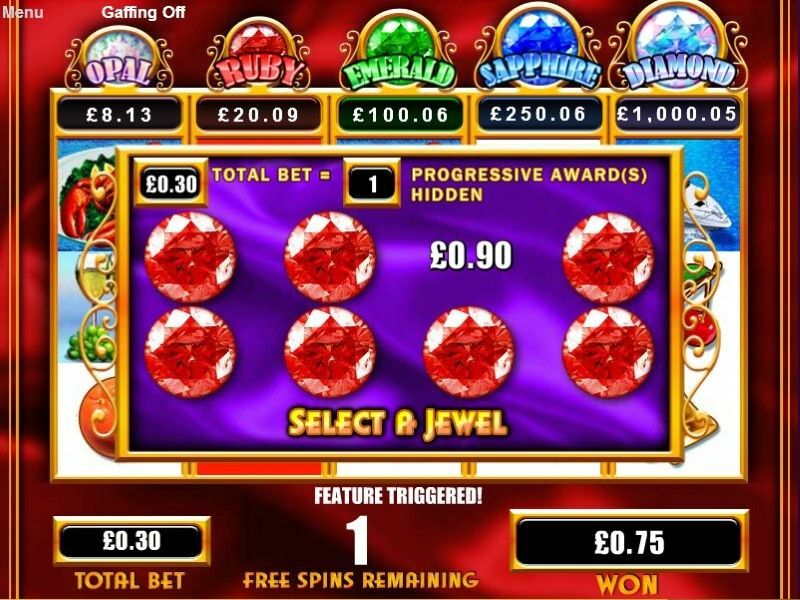 � You could win the same gem award multiple times during the free spins, and even multiple gem jackpots on the same spin. � Even better, if you play at Max Bet, you are guaranteed a jackpot award each time you find a gem in the life of luxury feature round! So let’s raise a glass to your eternal good fortune when players play Jungle Cats or Riches of Rome with the Life of Luxury Progressive, only at Slots Magic Casino.